APPLE unveils second generation AirPods with Wireless charging case, H1 Chip and Hands-free "Hey Siri" support. 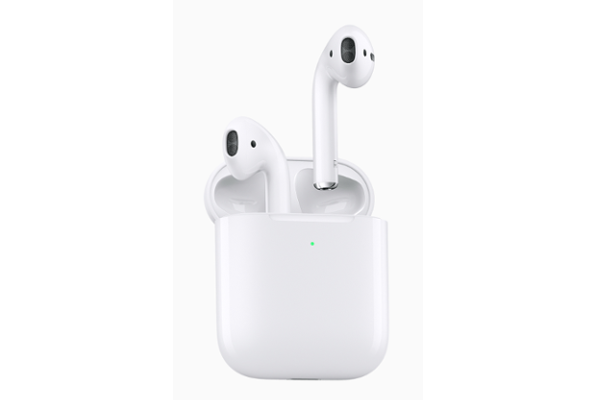 Apple today announced new AirPods, the second generation of its wireless headphones. The new Apple-designed H1 chip, developed specifically for headphones, delivers faster connect times, more talk time and the convenience of hands-free "Hey Siri." AirPods come with either a standard charging case or a new Wireless Charging Case for convenient charging at home and on the go.